Keep your finger on the financial pulse of your business with our cash flow tools & analysis. Cash is the lifeblood of any small business. Most CEOs and small business owners understand the value of creating budgets, however, it can be painful if you don’t have the resources in place to work through the process. We provide the budgeting services and cash flow tools and analysis you need to keep your finger on the financial pulse. 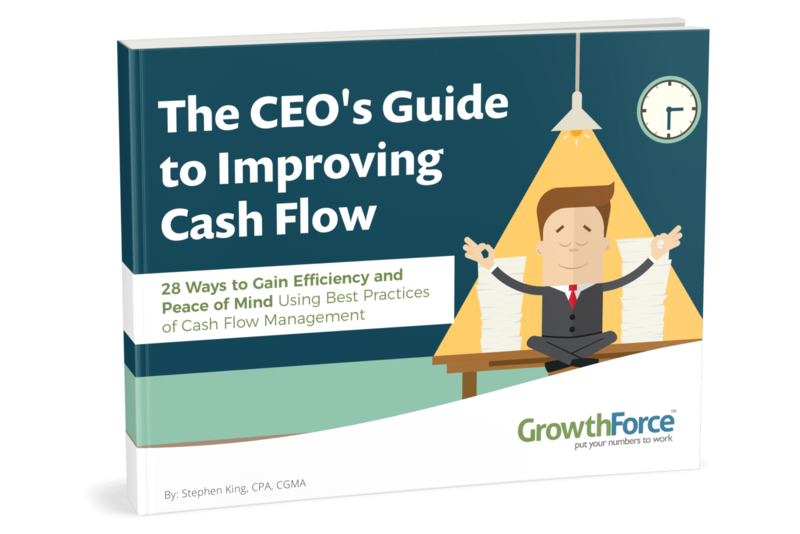 GrowthForce’s Smart Bookkeeping processes and procedures include cash management services such as advanced budgeting and cash flow forecasting tools. We take the pain out of budgeting and make sure you understand your cash position each and every week.